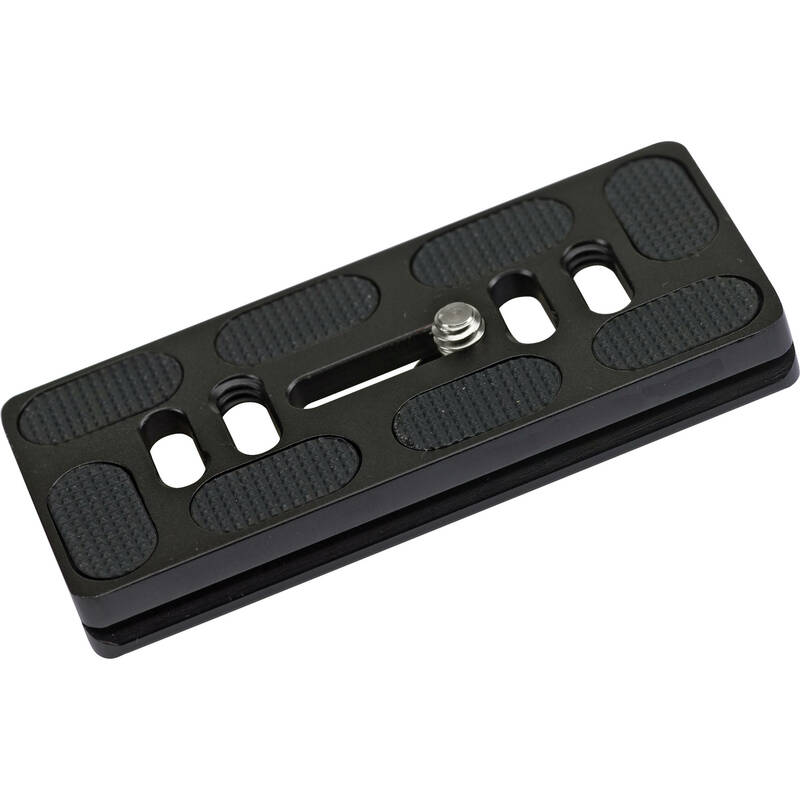 The Induro PU-85 Extra Long Slide-In Quick Release Plate has a 1/4"-20 thread for Model GHBA, GHB1 Gimbal Heads and other Arca-Swiss compatible Quick Release clamps. Box Dimensions (LxWxH) 4.1 x 2.0 x 0.3"
PU-85 Extra Long Slide-In Quick Release Plate for GHBA / GHB1 Gimbal Heads is rated 5.0 out of 5 by 6. Rated 5 out of 5 by digitalpops from Strong and stable I use this to mount various cutom hand-crafted wooden palettes for oil painting. The extra length of this product gives extra support and thus fulfills the function of my purchase. Rated 5 out of 5 by Robert M. from You'll need extra plates-B&H delivers! Time lapse, quick change, arca swiss-you will need extra plates! I got to an early morning shoot and guess what? No plate :( So make the effort and grab extra plates for each camera bag, keep then on your long lenses so you won't forget them. Rated 5 out of 5 by Matt from Extra length definitely comes in handy! I find that with certain lens/camera configurations the extra length of this plate allows me to adjust the camera/lens to the exact balance point. It really does the job for me!! Rated 5 out of 5 by Jeff from It Works as Promised It's nice to have the extra long slide for my Induro Gimble. It gives me just a bit more versatility balancing the long lenses with a battery pack on the Nikon D810. Rated 5 out of 5 by Matt from The extra length comes in handy! I find that on certain camera/lens combinations the extra length on this plate allows me to adjust the set-up for perfect balance. It is just what I need. Rated 5 out of 5 by Spoda from Very Good long ARCA Mount Good product. With this plate work with the Benro G2 ball head ? Yes, this plate will work well with the Benro G2 ball head. What is the size, Width Length of PU-85?